Verdant Capital advised Jumo World Limited on the sale of 100% of afb Ghana to Letshego Holding Limited. afb Ghana was launched in 2010 and has total assets of GHS 97 million (approx. USD 23 million), making it now one of the largest consumer and micro lending institutions in Ghana. 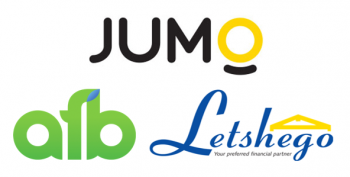 Jumo World, which is backed by leading specialist funds such as Leapfrog, Vostok and Gemcorp, is divesting from afb Ghana in order to focus on its core financial technology business. The acquirer of the business is Letshego Holdings Limited, a leading pan-African consumer and micro finance institution, listed on the Botswana Stock Exchange, with total assets of BWP 7.5 billion (approx. USD 710 million). afb Ghana’s strategy of leveraging technology to drive access to transparent and simple financial services resonates with Letshego’s strategy on a broader regional basis. The transaction is part of an increasing trend of cross-border consolidation in the financial services sector in Africa. The process managed by Verdant Capital was keenly competed with multiple bids arising from both within Ghana and from the broader African market, before the preferred bidder was chosen. The transaction has been approved by the Bank of Ghana.